The most important feature certainly is the app’s capability to sync with the tellows servers in real time to offer you the latest information on the incoming call. 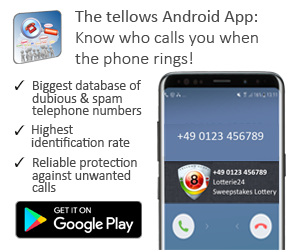 Any rated and commented number – trustworthy or dubious – of tellows will be displayed with the respective tellows Score so you can decide your next action. In addition you are now able to read a number’s comments submitted by your fellows tellows users. If the caller is trustworthy you will find the opportunity to add the number directly to your contact list quite helpful. 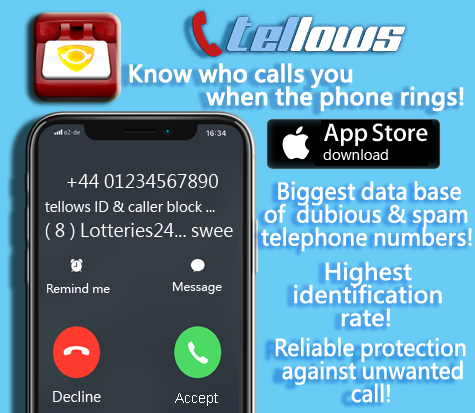 With more than 250,000 downloads since 2014, the tellows app has a steadily growing number of users and since then helps to reliably classify unknown calls. The update to version 1.1.0 has changed a lot. We now offer you the opportunity to connect to your tellows account and assign comments to your account. Thus, your comments after login are not only protected against deletion, but you can manage and change them in the future in your account on the desktop or mobile. You will find the login in the newly designed menu navigation or directly at the commentary. All advantages for login at tellows can be found here. With the premium version you can now also block calls by downloading the local blocked list. This contains all the active numbers currently reported to tellows for the selected country. After importing the blacklist, you select from which tellows score calls should be blocked. 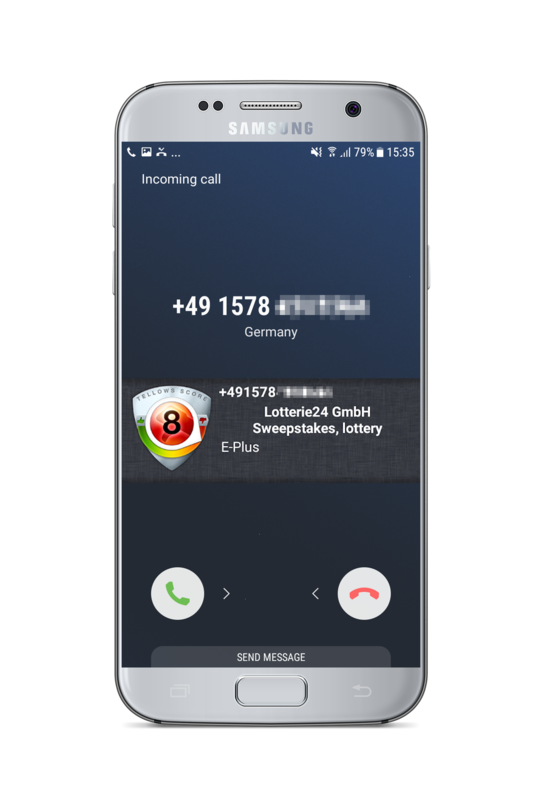 By importing the local blacklist you can also use the caller ID offline. The Premium version is also ad-free. Also new are the personalized blacklists. If you use tellows as a registered user and comment on numbers, then these numbers will end up on your personal blacklist (regardless of any other user ratings). The personal blacklist can be used with all tellows products. We are also pleased to be able to offer the tellows app in other countries and languages. This is only possible through the active participation of the community worldwide. We are looking forward to your feedback! If you have questions or suggestions for improvements don’t hesitate to tell us! Using iPhone app, there are three contacts for Tellows 7, Tellows 8 and Tellows 9. But there is no way to edit these contacts to block them. The block this contact option is at the bottom of the iPhone page and you can’t access the option on these contacts – because there are too many numbers against them. But you can’t delete the contacts and start again. Thankfulness to my father who shared with me regarding this blog, this web site is really amazing.